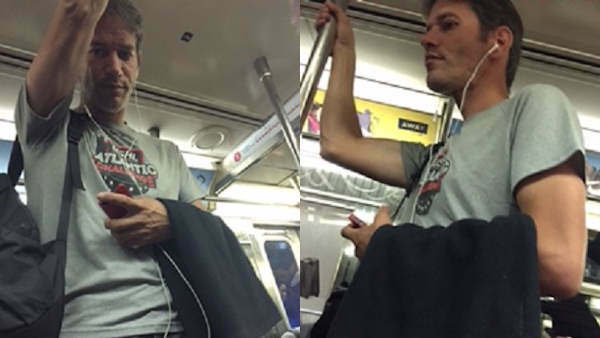 MANHATTAN (WABC) -- Police are searching for a man wanted in connection with several forcible touching incidents on the subway. Authorities say the suspect forcibly touched three women on different occasions on moving No. 1 trains, and one victim was just 13 years old. The first incident happened on September 9 around 6:45 p.m. at the 42 Street subway station, when the individual sat next to and 18-year-old woman and rubbed the inside of her thigh. He struck again around 5:40 p.m. on September 19 at the 66 Street subway station. This time, he sat next to a 24-year-old woman and rubbed the outside of her thigh. Police say the incident involving the 13-year-old girl happened sometime between September 29, 2011 and June 30, 2012, at the 110th Street subway station. The suspect is described as a white male in his 40s, approximately 6-feet tall and last seen wearing a green T-shirt and a black backpack.